Almost a year and a half after Google announced it would be bringing its new fiber service to Salt Lake City, the company has started the sign-up process for the city’s residents. The company announced on Twitter that sign-ups are open, and will stay open until Oct. 20 in the City Center area. The first phase of the rollout is in and around the city’s downtown area, panning about 112 blocks from 100 South to 800 South between 400 West and 1300 East, as The Salt Lake City Tribune reports. 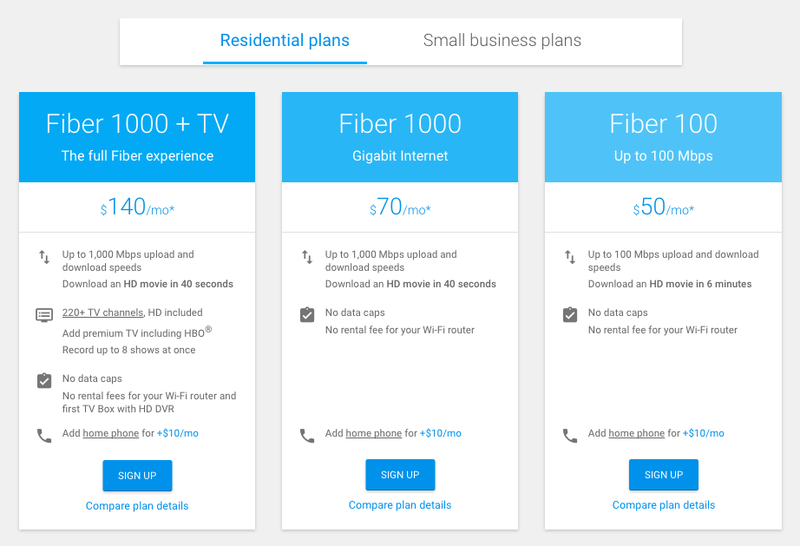 As an alternative to current providers Comcast and CenturyLink, Salt Lake City locals will have the option of signing up for 1-gigbit residential service for $70 a month, 100 Mbps Fiber 100 tier for $50 per month, and 1-gig pay TV bundle that starts at $140 per month. Phone service is an additional $10 per month. Google Fiber has already launched service in areas of Austin, Nashville, Kansas City, Atlanta, and Provo, UT, with plans to deploy in San Antonio Charlotte and Raleigh-Durham, NC. Other cities are on the “maybe, but don’t hold your breath” list for expansion now: Los Angeles; Chicago; Dallas; Portland; San Jose, Irvine and San Diego, CA; Phoenix; Oklahoma City; Louisville; and Jacksonville and Tampa, FL. This might be the last Fiber expansion that actually involves, well, fiber: Google has been testing wireless technology that doesn’t require a bunch of cables.